Whether you love or hate UKIP (because there are hardly any of us who sit on the fence about these guys), you need to be aware of their policies. The UKIP economic policy is an interesting one but it’s probably not too far removed from their other policies which basically suggest that the UK can rely on itself and shouldn’t help out other nations as much as we do under Labour and Conservative governments. The first point in UKIP’s plan is to get the UK foreign aid budget back under control. This basically means that we should lower the amount of subsidies paid to the European Union. This is a topic that UKIP major on whenever they make noises in the press so you’ve probably already read interviews with UKIP leader Nigel Farage denouncing the £20 billion the UK pays to the EU each year. Under a UKIP government, that would be stopped. The UKIP economic policy also aims to put more money into the pockets of every citizen by reforming the Barnett Formula which is the basis upon which our taxes are calculated. UKIP claim that the formula is unfair and that the basis tax calculation doesn’t leave the man in the street with enough money to get by. Their manifesto presents a tax policy with a personal allowance that’s equivalent to full-time minimum wage earnings, around £13,500. While that would help the lowest earners the most, UKIP’s next policy on tax will help those in the middle of the earning scale. The current 40% tax bracket begins at £42,000. 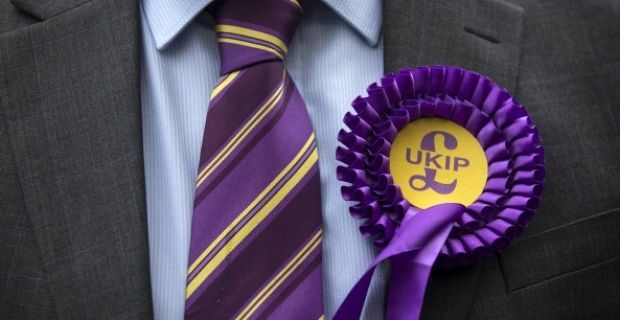 UKIP will tax those guys at 35% and only take 40% tax when workers earn £55,000. A luxury goods rate of VAT is also on the agenda. Exactly how much would be added to the sort of goods the wealthiest of us buy hasn’t been decided but some UKIP MPs have suggested that simple thresholds like cars worth more than £50,000 or shoes costing more than £200 would be subject to this higher rate, which could be 25%.